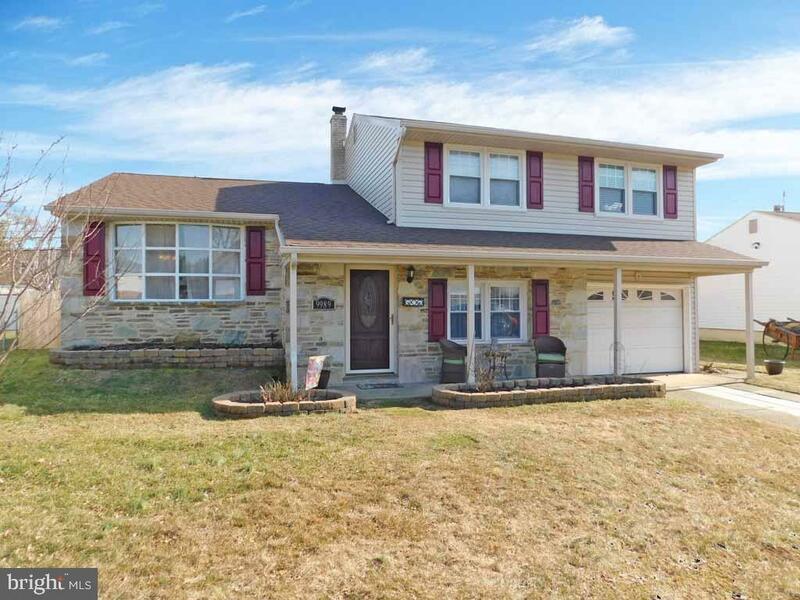 This delightful split level home is nestled in a quiet section of Bustleton. As you enter the covered porch, notice the decorative glass centered on the front door, hinting at all the charm that is about to greet you. Upon entering, hardwood floors gleam throughout the main living area. A large living room with bay window is a delightful gathering place. The updated Island Kitchen has upgraded cherry cabinets, on-trend stainless steel appliances, stylish pendant lights and modern backsplash. On the upper level youll find a large master bedroom, newer master bathroom with double sink vanity full of cabinets for all your toiletries. Two more nice size bedrooms round out this level. On the ground floor, you will find a powder room with pedestal sink, laundry area and spacious family room. Doorway opens to the fenced-in yard...imagine all the fun get-togethers you can have on the patio and free-standing deck. So much room inside and out. Welcome home!